Cameron Falls Trail in the Northern Frontier Region, Yellowknife, Northwest Territories, Canada is a year round hiking trail leading to a waterfall and suspension bridge in the Hidden Lakes Territorial Park. 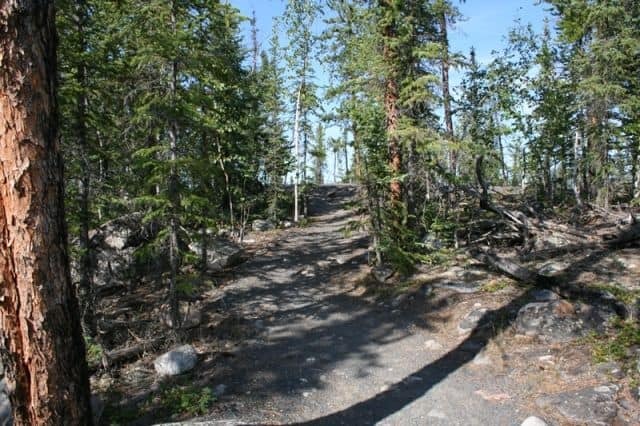 The park is located on the Ingraham Trail (Hwy #4) which is a recreation highway located west of the community of Yellowknife, Northwest Territories, Canada. 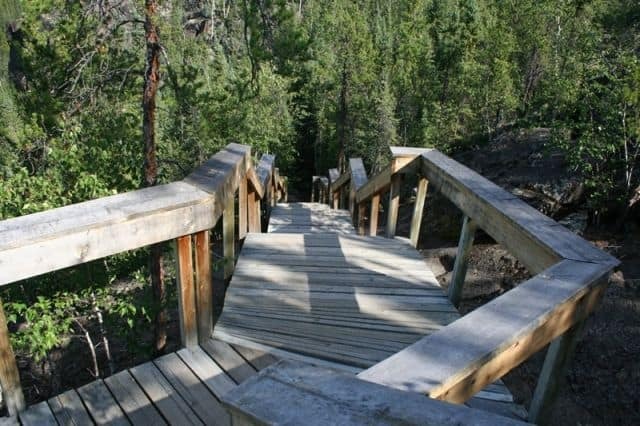 The Cameron Falls Trail is a popular route for hiking, picnicking and sightseeing. The 1.2 kilometre, there and back, hiking trail is a moderate adventure with some elevation hiking over rocks before arriving at a lookout overlooking a 17 metre waterfall, river and canyon. At the lookout are viewing benches, a suspension bridge and more trails. The Cameron Falls Trail is very well marked and well maintained. The route can be enjoyed by all ages and fitness levels safely. From the trailhead the entire trail should take no longer than 1 hour to reach the viewpoint on the bluff. Most of the route follows a dirt path with some boardwalk and stair sections. The lower section of the trail explores a forest of aspen, jack pine and spruce trees mostly. Watch your footing as there are some exposed tree roots and loose rocks. At the higher elevations the trail navigates over rock boulders of the Canadian Shield. The trail is marked by blue pin markers drilled into the precambrian rock. Follow the blue pin markers towards the bluff and towards the waterfall. 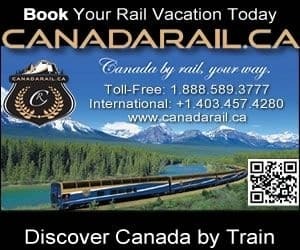 Looking for more adventure? If so there is a trail which continues upstream from the waterfall for another 9 kilometres to the Cameron River Ramparts Waterfalls. It is a wilderness hiking route which follows the lower banks of the river. The path is easily recognizable but may be in rough condition. Also at the lookout there is a suspension bridge connecting hikers to the north side of the river and to more trails. Once on the opposite side of the Cameron River the trail leads hikers deeper into the Hidden Lakes Territorial Park. Some of the wildlife in the area may include sightings of beaver, muskrat, bear and waterfowl. Enjoy! How to Get Here: Travel the Frontier Highway (Hwy #3) north to the community of Yellowknife, Northwest Territory, Canada. When entering the community continue through town to the Ingraham Trail (Hwy #4). 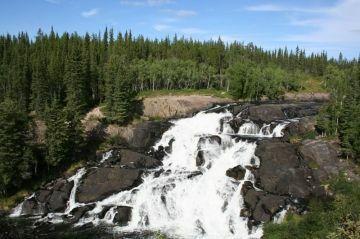 Follow the Ingraham Trail Highway for 46 kilometres (mostly gravel) to the Cameron Falls Trail in the Hidden Lakes Territorial Park.